We roll this thing into motion (this thing: a dizzying 200 word romp though April’s best new electronic music) by welcoming to the scene a total hypocrite. Yes. Black Yaya – real name David Ivan – releases LP Black Yaya to stores this month, in one track telling us to “wait for the Glad Tidings” in his languid, squelchy melodics. But before we took his advice we heard 2013 effort Paint A Smile On Me where Mr. Yaya sings – and speaks – about his physical inability to smile. We’re miffed. But his spoken lyric and Darwin Deezian wonk endears us. Catch him live this month. Ambassadeurs won’t worry about being culture or trashed. Their intergalactic soundscapes are already heralded by the best critics. They combine the likes of Caribou and Disclosure. They’re dance-y and a club fit, but they also rejuvenate – besides their infectiousness, these beats muse with an inwardness that’s Flume-like. Can’t You See is typically more ambient back room than main stage, but it would work for both. 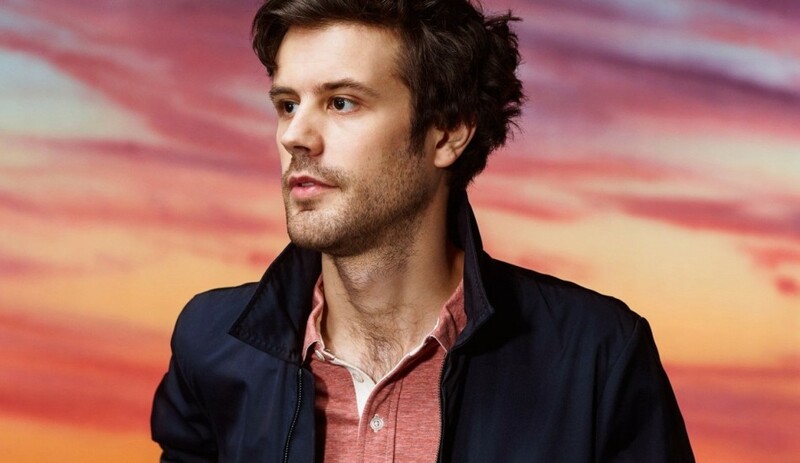 2012’s Gossamer didn’t just put – but forcibly dumped – New York production set Passion Pit‘s enlivened electronics in front of assembled festival and televised masses after they appeared on shows like Letterman. A trio of years on and you thought those synths were even more playful on Lifted Up (1985)? Nope – that’s frontman Michael Angelakos’ voice, twisted by the tech wizardy that make this duo sound as huge as a full choral set. Play it on the one. Whether pounding out a groove or pounding the gig circuit, great, infectious funk is simply a matter of consistency. Orgone are by now a well-travelled outfit, and they’ve got the chops to show for it. Take Sweet Feet: a Kool & The Gang-style disco crusader with a meaty low end and smoky vocals from newcomer Adryon de León. Check back on the 28th for the full album, Beyond the Sun. John Frusciante: remember him? Best remembered for his funksmanship with the Red Hot Chili Peppers, he’s been quietly reinventing himself as an acid house producer under the alias Trickfinger. His new album drops on the 7th. The opener After Below postures and swaggers about the place just as the Chilis have always done, with or without the wiry guitarist. Another funk defector of sorts, Squarepusher makes for a rogue inclusion in this list – but those who’ve heard his antics with a bass can have little doubt as to his nefarious funky inspirations. So although tracks like Stor Eiglass from his album Damogen Furies – due on the 20th – are clearly back in techno territory, the stilted backbeats reaffirm that James Brown et al are common ancestors. I follow pop music in the same way jocks follow sports teams: it’s the winning that counts. So I’m here to predict who’s going to have the biggest-selling/streaming/illegally stolen hit and if that happens to align with artistic merit well then that, my friends, is the holy grail. Martin Solveig & GTA release ‘Intoxicated’, a dance-heavy DJ vehicle which is hard to resist owing entirely to a dirty great trumpet-a-thon which kicks in at the point you’d ordinarily begin to moan about the predictability of it all – I dare you not to like it. Carly Rae Jepsen has returned all guns blazing with ‘I Really Like You’, a song which reeks of pop almost as heavily as ‘Call Me Maybe’, a brave move indeed: how to compete with that song without drawing attention to the fact that your new song isn’t it? The stakes are high, but the reward is great, young Jepsen. She’s flung Tom Hanks and Justin Bieber at this song (check the video) and it’s a great effort, with a more mature, drum-driven soundscape. But by the chorus, Jepsen repeats the word ‘really’ so many times she ends up forcing her new era in another direction: towards the really really really really really really irritating. Meanwhile, the less said about AronChupa’s ‘I’m an Albatraoz’ (sadly not a typo) the better, in case it actually gets anywhere. Although it already has over 100million views on YouTube so EDITOR! Edit me! Stop this in its tracks!